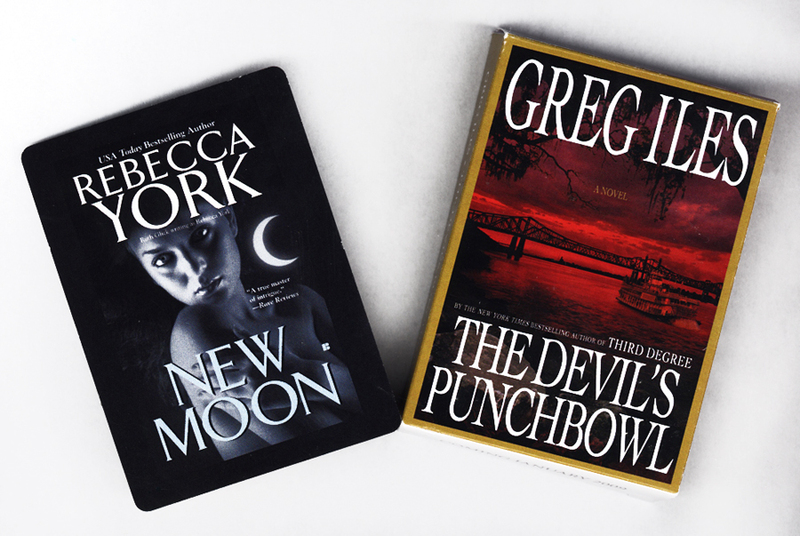 Personalized playing cards disguised as books are just one great way to promote your new masterpiece or for a publishing house to promote the latest and greatest from their stable of authors. Other great uses for playing cards include highlights of chapters, custom boxes that look like the cover of the book and FAQ’s about the author. 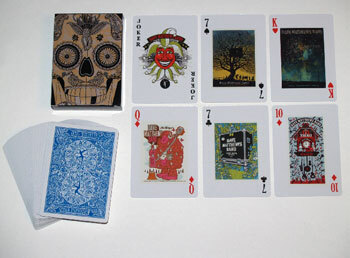 Personalized playing cards make great merchandise for bands and Dave Matthews Band is currently on their second collector deck of custom face playing cads. Packaged in a unique skull design custom box – these cards are fully customized on every face with a unique image from the Dave Matthews art and poster collection. Paulie Z from Z Rock designed these cards as a promotion for his band. Each of the four royal cards is one of his band members. 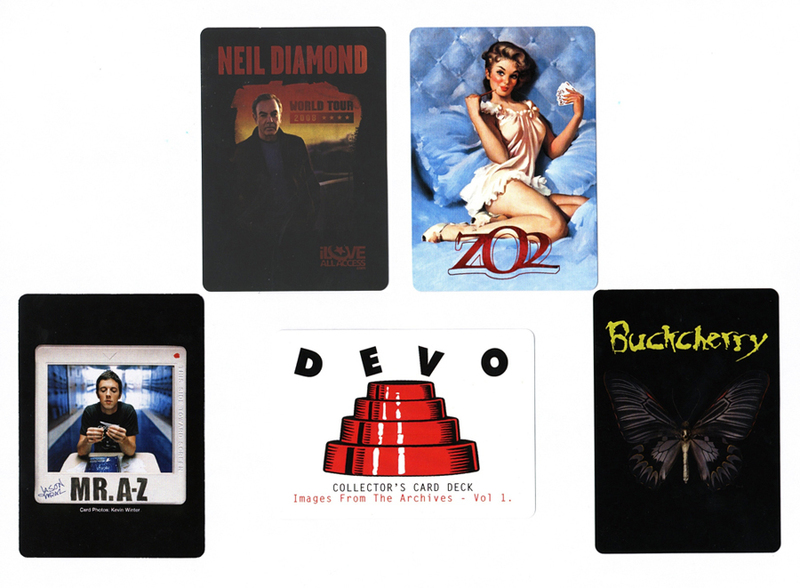 Buckcherry, Neil Diamond, Devo and Jason Mraz also used personalized playing card decks as merchandise to promote their music and their band imagry.